After a successfully completing Chennai Super Kings captions duty and putting the team on the top spot of the IPL points table, MS Dhoni is now on dad duty. Dhoni’s hit of 70 not out off just 34 balls helped CSK win against Royal Challengers Bangalore last evening at the at M Chinnaswamy Stadium. After completing the captions duty successfully, Dhoni is fulfilling his other duties which include doing daughter Ziva’s hair. 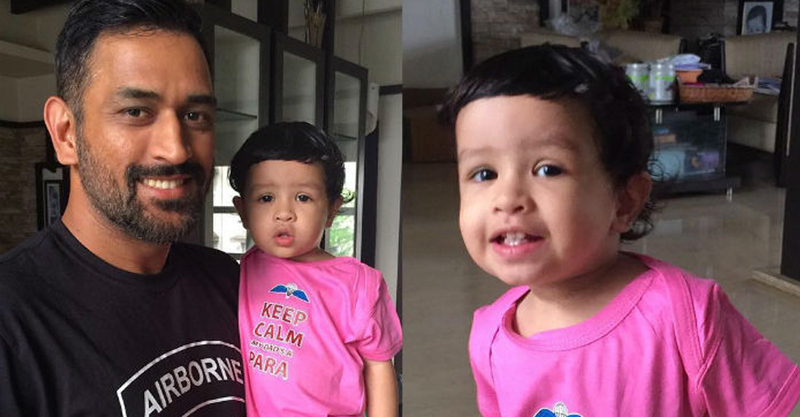 A video posted four hour ago, shows Dhoni blow drying daughter Ziva’s hair. And to say the video is adorable is just an understatement. “Game over, had a nice sleep now back to Daddy’s duties,” Dhoni posted along with the video. Within hours of being posted, the video has already collected over 2.1 million views and more than 9.1 lakh ‘likes’. “So adorable,” says one Instagram user. “A captain, a father and an amazing all-rounder – that’s Thalla,” says another. During last evening’s match, Dhoni hit seven sixes in his match-winning knock. His innings definitely won several hearts but this video with earns more.